Cappadocia is located in the Central Anatolia region, in Nevsehir and it’s really worth visiting to see its fairy chimneys, which are rare natural formations that can be found in a few places in the world. Cappadocia has been in UNESCO World Heritage List since 1985 and it is home to the sites such as Avanos, Cavusin, Urgup, Goreme, Uchisar, and Orta Hisar. And Goreme National Park is located right in the center of these sites. 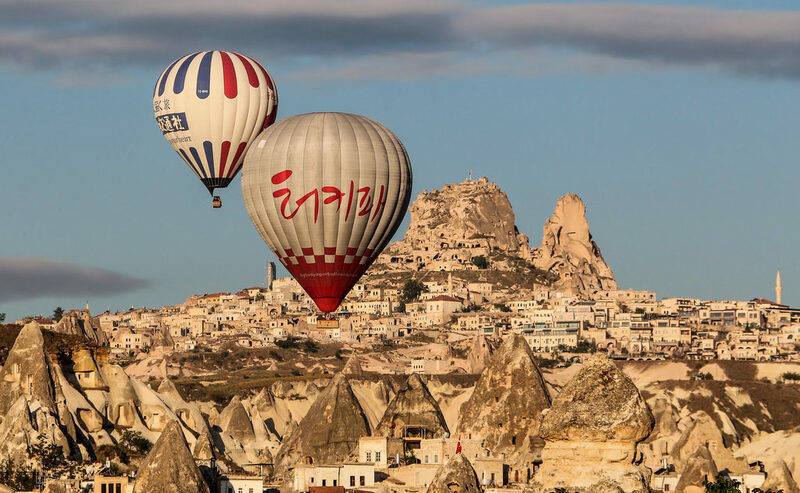 The best way to discover Cappadocia in addition to visiting fairy chimneys, underground cities, and museums, is Cappadocia hot air balloon ride. This activity is the number one activity in the top five activities to do in Cappadocia list and it is already identified with Cappadocia itself. A layer of lava covered the ground when active volcanoes in Cappadocia erupted ten million years ago. As a result of erosion of natural formations by wind and water, these magnificent chimneys came to life. In addition to fairy chimneys, Cappadocia Hot Balloon Tour offers you the opportunity to view the mountains, rivers, and stone houses from above. You can join a hot air balloon tour at any day of the year. However, departure points and the routes of tours may change depending on the daily weather conditions. Generally, Hot Air Balloon Tours are in Urgup, Goreme, and Avanos, the most beautiful spots of Cappadocia. Therefore, visitors get the chance to enjoy the unique Cappadocia view that covers 4 to 20 km distance. How Does a Hot Air Balloon Work in Cappadocia? A hot air balloon is composed of a dome, a burner, and a basket that carries passengers. The basket is made of straws so that it is light and flexible. A burner is located on the upper side of the basket to heat the air effectively. The dome, the balloon itself, is usually made of tear-proof plastic. A fire-proof material such as Nomex is used on the open part of the balloon. Although all hot air balloons are composed of these three parts, size, shape, deflation system, and the number of burners on each balloon vary. The main working principle of hot air balloons is based o the fact that the hot air in the balloon causes it to rise while the cooling of the air inside the balloon causes it to go down. The direction of a hot air balloon is defined by the wind during the tour, but it can be controlled by a controller in a limited span by using the wind blowing in different directions and speed. Cold weather is the best time for a hot balloon tour as it enables a soft landing and maximum ascent capacity. Therefore, Cappadocia hot air balloon tours are carried out at sunrise, the coldest time of the day. Cappadocia Hot Air Balloon Ride Best Time to Go? In order to show you more valleys and fairy chimneys, departure points of balloons may vary depending on the strength and the direction of wind every morning. 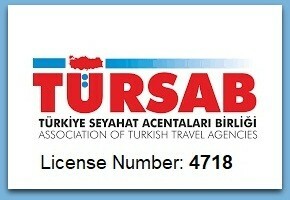 You should also note that these tours are carried out in accordance with the regulations and rules imposed by General Directorate of Civil Aviation in Turkey. Hot air balloon tours are allowed in up to 11km/h wind due to security reasons and they may be canceled due to adverse weather conditions. In such cases, if General Directorate of Civil Aviation permits, tours may be fulfilled in the afternoon as well. However, these are rare instances that may happen 3-5 times per year. Lucky local and foreign tourists can enjoy the sunset in Cappadocia by waking up early and being transferred to departure points from their hotels, finally witnessing some great scene that can’t be seen anywhere else. As long as weather conditions are suitable, it’s possible to join one of the hot air balloon tours in Cappadocia. However, the busiest hot air balloon tours season is from March to November. Hot air balloon tour companies pick the tourists up from their hotels early morning and transfer them to departure points. While tourists enjoy their quick breakfast at the site, hot air balloons are filled with air and get ready for the ride just in 15 minutes. 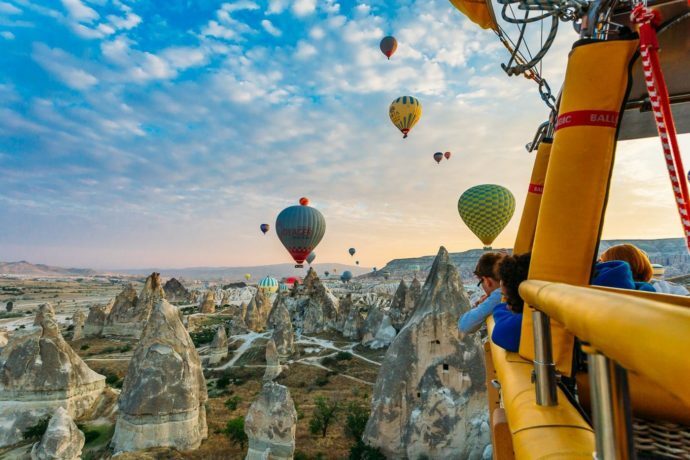 After pilots inform passengers on flight safety, balloons rise 900 meters from the earth and tourists can enjoy the view and take photos of the sunset and beautiful Cappadocia for around 1 to 1,5 hours. Following the landing, participants are rewarded a flight certificate they can keep as a memory and a champagne toast to celebrate the ride. Hot air balloon tours are carried out in two different times of the day. The first one, known as the “first flight” is at sunrise. And the second one is called the “late flight”, is right after the sunrise. You should note that most tourists who participate in these tours prefer the first tour when they can witness the sunrise in Cappadocia. These tours are carried out between 5:00 to 5:30 in winter months and 06:30 in summer months. You will definitely feel calm and peaceful while you pass by trees and fairy chimneys on a hot air balloon, which feels easier than going up in a lift. How Long Does a Hot Air Balloon Tour Last? A Cappadocia hot air balloon ride lasts 3 hours from beginning to end. Participants are transferred to a departure point from their hotel one hour prior to flight. After a light breakfast and the approval of General Directorate of Civil Aviation, passengers are transported to the departure area of balloons. While balloons are filled with air, flight security information is shared with participants, then the tours begin. Tours at sunrise typically last around 1 hour and it may end 10 minutes earlier or later than the expected landing time. This depends on the strength of the wind and landing point during the flight. While standard flights last 60 minutes, special flights can last from 1,5 hours to 3 hours. What to Wear at Cappadocia Hot Air Balloon Ride? Cappadocia is 1000 meters above the sea level and it has a steppe climate. Therefore, it’s crucial to wear proper clothes at Cappadocia. As the sunrise is the coldest time of the day, you are strongly recommended to wear outdoor clothes to protect you from the wind and cold weather. Especially, if you are planning to participate in a hot air balloon tour in winter, you should definitely wear thicker clothes than you do on an average winter day. As you will remain standing for an hour, it’s recommended that passengers prefer flat heel shoes instead of high heels. If you plan to be in Cappadocia in spring, summer or fall, a light jacket may be sufficient depending on weather conditions. Lastly, you are highly recommended to take your camera and camera equipment with you. 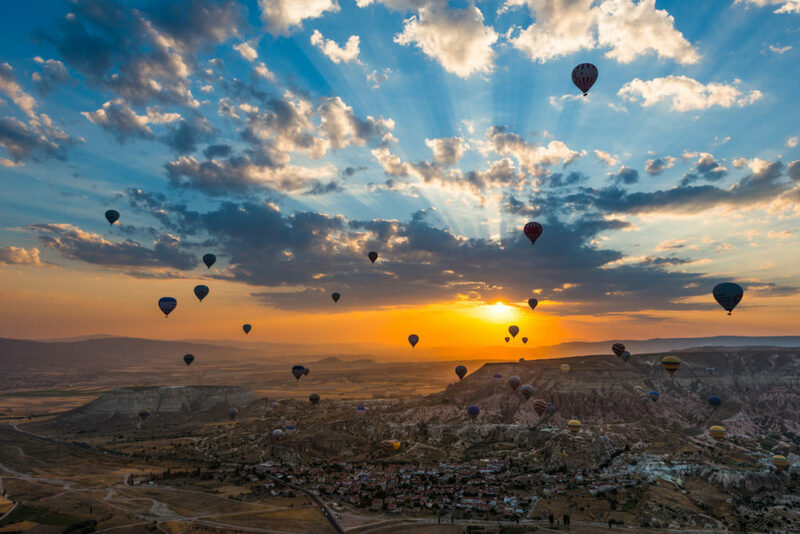 Therefore, you can immortalize the view of colorful balloons covering the sky of Cappadocia. The capacity of hot air balloon tours is from 8 to 24 passengers. Generally speaking, baskets that have 16 or 20 passenger capacity are used most frequently. As the price range for smaller baskets is higher, bigger baskets are lower-priced. There is enough space for every passenger in baskets to enjoy the view. As hot air balloons turn in 360 degrees, passengers have the chance to take photos and videos of amazing Cappadocia in every angle. Duration of special rides is between 30 minutes to 2 hours. However, the departure time of such tours is the same as regular tours. If weather conditions are suitable, it’s possible to organize an afternoon ride too. Therefore, apart from regular rides, you can opt to go for a private tour. The type of a special ride defines its price range too. Children under 6 years old are not permitted to participate in hot air balloon tours in Cappadocia, but anyone who is between 6-90 and able to climb on a balloon’s basket is welcome on board. You can have a great time with your family 1000 meters above the ground, celebrate your beloved one’s birthday or enjoy a single ride full of adventures. Cappadocia Balloon Tour Company Review – Is a Balloon Ride Safe? Balloons are subject to numerous tests regularly, but they can fly safely even if a big hole opens on the balloon during your ride. Routes and areas to be covered by balloons are determined by the weather conditions on the day of rides. As the air is heated, balloons rise and they go down if the air is cooled. The air inside balloons is heated after balloons are filled by a strong ventilator. While balloons are filled, flight security instructions are explained to participants and the direction of balloons is determined by the wind. Due to legal requirements, only licensed pilots are eligible to fly these hot air balloons. In order to end your tour safely, the directions of pilots, such as taking landing position, should always be taken into consideration. These instructions are illustrated prior to departure. The landing also depends on weather conditions and features of the landing area. The main aim for a safe landing is as few bounces and friction as possible. Until the landing is complete as stated by the pilot, passengers are supposed to remain in landing position. These hot air balloons are examined by General Directorate of Civil Aviation and it’s made sure periodic maintenance of the balloons are performed thoroughly. On average, the cheapestCappadocia Hot Air Balloon Ride Cost is 130 Euros. While children under 6 are not allowed to participate in tours, anyone over 6 is supposed to pay the same amount. Most hot air balloon tour companies agree on minimum price range and request the same price from passengers. The amount specified on contracts signed by these companies may vary depending on the type of flight, tourism season, and the day of the flight. 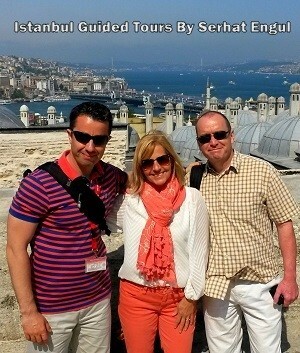 Moreover, tours for couples or a single person is more expensive than standard tours. Such special tours are preferred especially for birthday celebrations and marriage proposals.